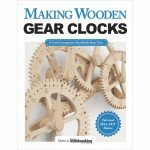 This clock part was cut from shop-made hardwood plywood, which gives it strength, durability, and an attractive appearance. When you’re doing a project that requires durable, stable, attractive parts, it pays to skip commercial products and make your own plywood. There are many kinds of plywood, but they are all made basically the same way: by gluing layers of wood on top of each other. The grain direction of the layers is usually rotated 90° between layers. 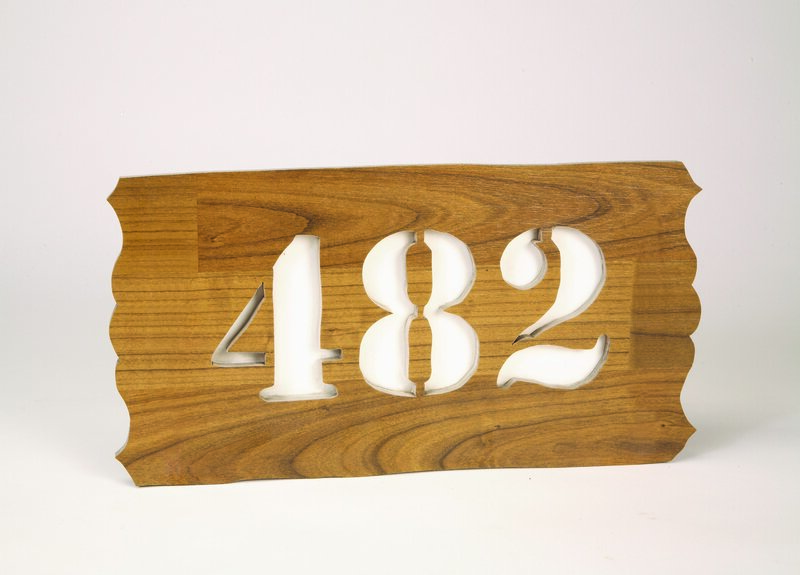 This produces a stable piece of wood that barely expands or contracts with changing humidity. 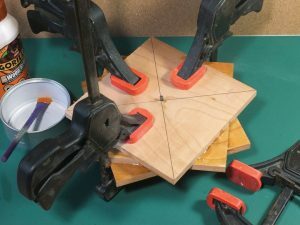 Some woodworkers consider plywood as stable as plastic when it comes to wood movement. 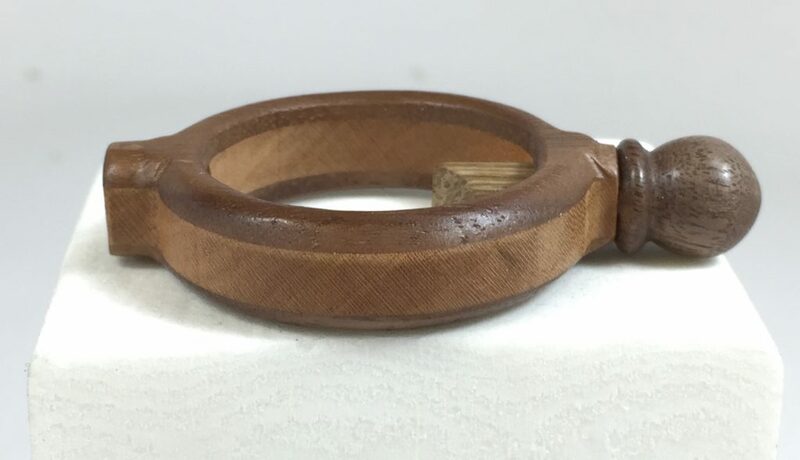 The alternating grain directions also increase the shear strength of the piece, meaning plywood is harder to break than a similarly thick sheet of wood. Alternating the grain direction in the layers makes plywood strong, but gives it a striped appearance that can be unattractive in some projects. Despite its advantages, there are some problems with plywood. The different layers cause the edges of most plywood to look striped, which can be unattractive on some projects. 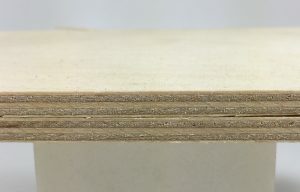 Some plywood may sandwich softer, lower-quality wood between veneers of better wood. These softer layers can separate if you put enough pressure on them. Often, hardwood plywood hides medium-density fiberboard (MDF) between two layers of attractive veneer to reduce both cost and the layered look. 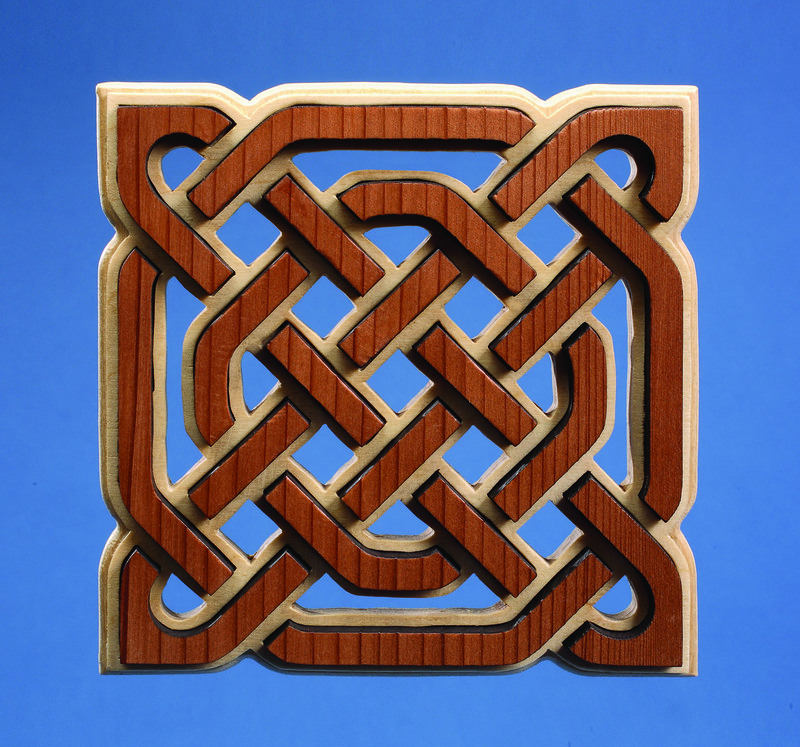 However, MDF is not as strong as layers of wood and will separate or crumble with pressure. 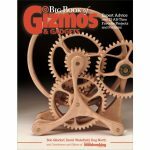 As a result, most commercial plywood is not suitable for any project that requires durability, such as gears, cams, drums, and other parts for gear clocks, gadgets, and animated gizmos. 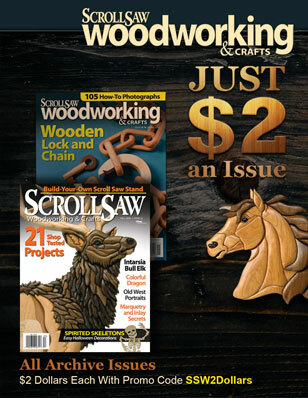 To get the strength of plywood without the problems, two Scroll Saw Woodworking & Crafts magazine contributors who make gear clocks and other animated gizmos, Rolf Beuttenmuller and John Hutchinson, suggest making your own plywood. 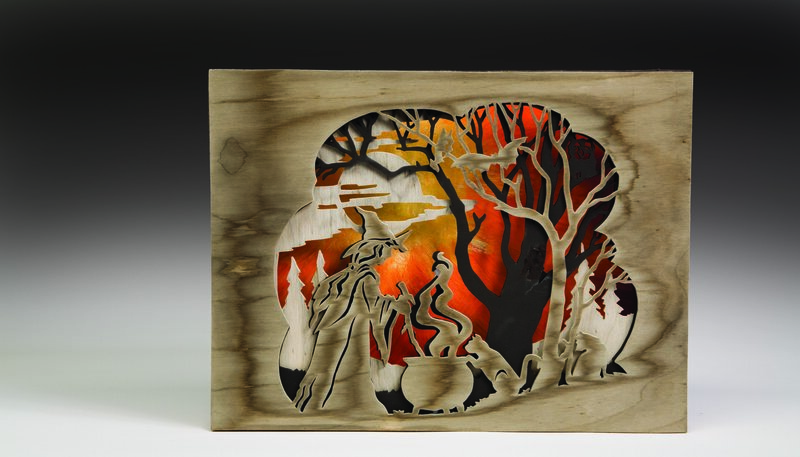 Making your own allows you to control the type, quality, and color of the wood. You can use hardwood for every layer, so your plywood will hold up better than commercial plywood. You can also control the quality of the glue joints and even use a water-resistant glue if necessary. Gizmo designer John Hutchinson makes his own plywood for durability. Here he glues up three 1/4″ (6mm) pieces. • Choose thin pieces of wood of a similar size. 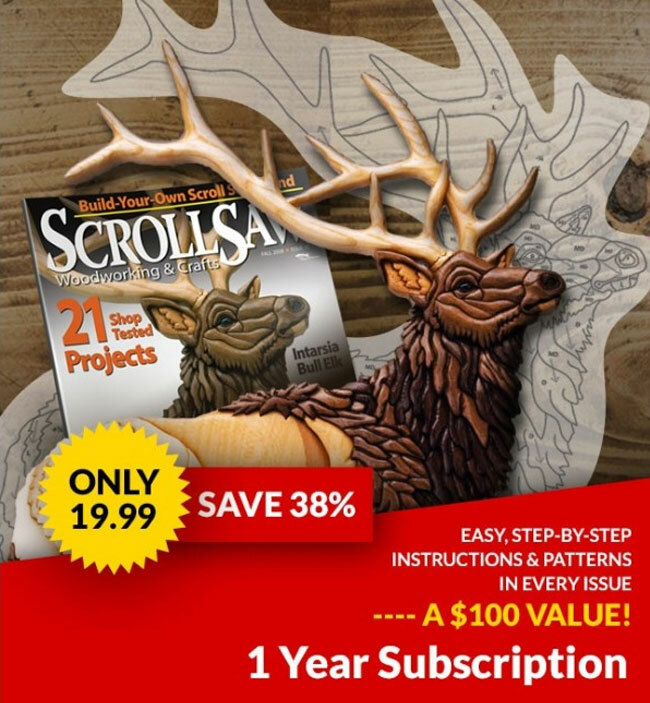 Make sure all of the pieces are flat, spread wood glue evenly on the mating surfaces, and rotate the grain direction of each piece as you layer them together. John rotates the grain direction of each of his layers 45°; Rolf rotates the grain direction of each layer 90°. Use clamps and clamping boards, a bowl press, or a veneer press to secure the pieces until the glue dries. • If you want to disguise the layers, choose a light wood that does not have a pronounced grain, such as maple. The overall thickness of the pieces doesn’t really matter, but you will need to sand the edges to a higher grit than normal to help fill the end grain and match the side grain of the other layers. Maple is also a good choice because it accepts stain well. Depending on the part, you can use a router with a round-over bit to round the piece and totally disguise the alternating grain direction. • You can also embrace the layers. For a contrasting look, combine dark outer layers with a light inner layer.